I like shooting timelapses. It compliments my love for landscape photography. Timelapses help me show how dynamic nature can be over a short period of time. But shooting timelapses of nature is hard work. Adding motion – linear or panning – to a timelapses is not only more hard work, but even heavy on the pocket. I am learning the video side of things – which is what most timelapse equipment is based on – after I purchased the Syrp Genie. 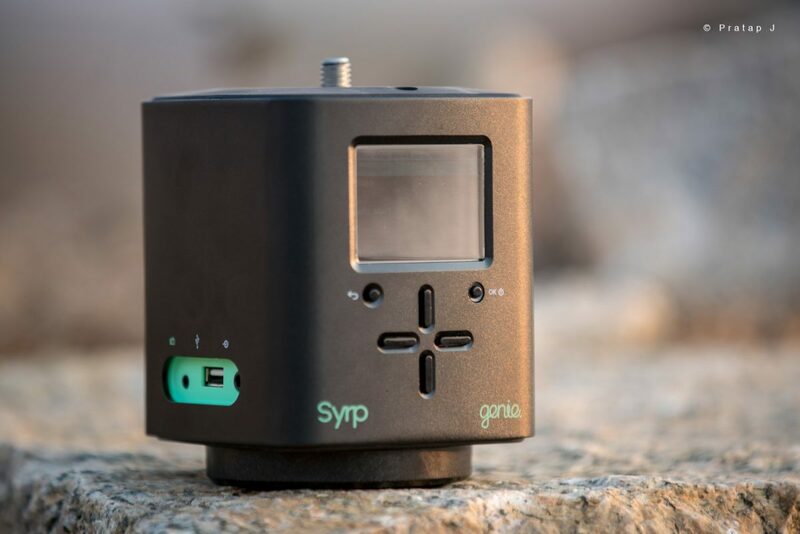 The Syrp Genie is a device that helps you pan your camera when mounted on a flat surface, or move your camera in a linear direction when mounted on a slider. It uses a rope and pulley system to move in a linear direction. A slider is a track for the camera to move. The distance that the genie can travel is limited by the length of your slider or length of the rope that you have. I just got the Genie and tried out a panning timelapse. I don’t own a slider yet. Looking up sliders online is making me sweat – they are mighty expensive! Plus, sliders are not very portable. And in India, you need to travel long distances or hike for days, to shoot nature in its purest form. Today, I tried out the Genie to capture a panning timelapse. 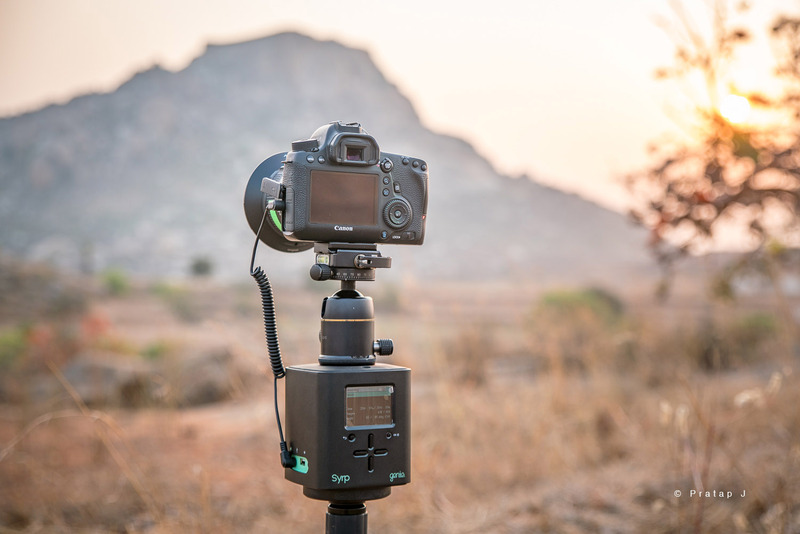 It is easy to shoot a panning timelapse, because all you need is to mount the Genie on a tripod. The genie connects to the camera via a cable. It controls the panning movement, and triggers the camera as per your settings. Because the Genie is in control, the camera will not fire when the Genie is moving. You will not have blurry photos. This way, you can use the Genie to take timelapses of celestial objects at night. Something that I have been dying to do ever since I got into night scapes. I have tried static time lapses of the stars at night. Now, I want to take it one step further and add a panning or linear motion. For inspiration on the possibilities, check out this tutorial from Syrp. And oh! Found some interesting places to shoot the Milky Way today. Looking forward to next week.